@LCSO264 , I was joking, making fun of another older thread that regarded the rumor of the A7. It was this summer, early I think. If I post a ;-), I'm being a smart a$$. They really should move to mlok. The proprietary standard sh1t has grown old. Its not like MAGPUL LOK is not a manufacturer standard (yes I know they open sourced it, still). HK also stated that they would add whatever interface customer wants to the guns. @RegularGuy461969 , I went back and re-read your post, which sounded a bit tongue and cheek, but I had overlooked the winky face... I think I was associating that older post to you, which was incorrect. I was also pointing out the somewhat inconsistent model numbering. the odd number deal follows through the military and civilian line, then mixed in with that is the alpha characters (which I assume will continue to grow), 416D and 416F. Not that any of this labeling amounts to anything other than fodder for discussion. Also in this same fashion, they offer the 433 with either a G36 or M4/416 style lower and control interface (mag release, bolt release, etc. ), again at the purchaser's preference. So, flexibility seems to be a new direction for them. Only time will tell.. The fulfillment is to serve the Kommando Spezialkrafte (KSK) and Kommano Spezialkrafte Marine (KSM). These units have already used the G38 in combat, but this contract would replace existing G36 variants that are standard issue to the KSK and KSM. Contract is worth estimated 11 Million EURO ($11.6 Million). 40 weapons delivered for qualification tests and optical compatibility testing followed by 1,705 serially produced weapons. Included with the weapons are laser designators, illuminators, flashlights, and carrying equipment. 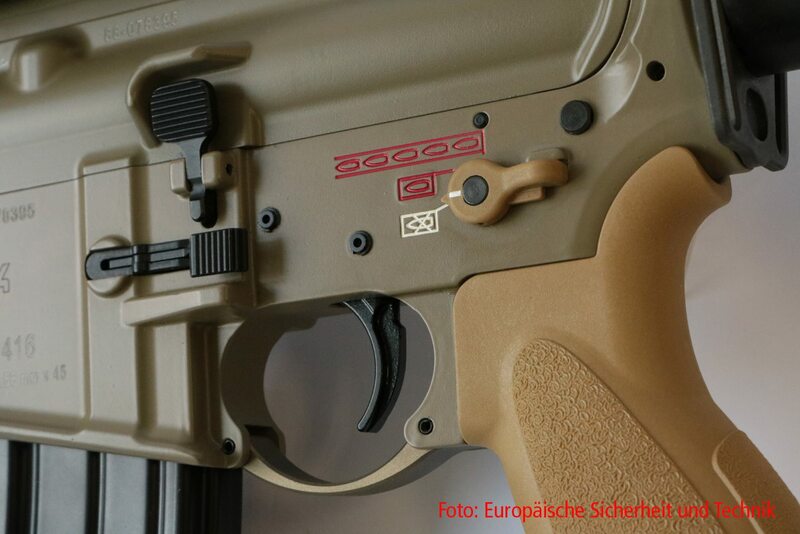 According to Jane's, which weapon the KSK and KSM select will highly influence the future Bundeswehr contract for 124,000 G36 replacement weapons (630 Million EURO). *** As for HK copying POF, that's total BS. 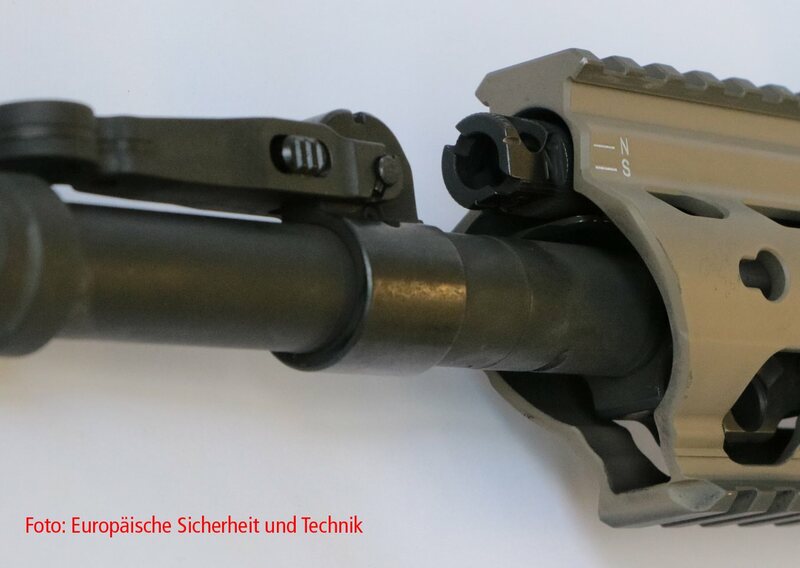 Bundeswehr has used the G38 in three different formats since 2014 and have used the adjustable gas blocks on those versions of the 416, use includes the KSK and KSM. I admire POF's position as they build piston ARs but they are hardly a driving force and non-existent in the Defense industry. Stoner is a Germanic name taken from steiner and anglo-saxonized. Last edited by Leibermuster; 10-13-2017 at 05:42 PM. Few more pics from the net. I was also pointing out the somewhat inconsistent model numbering. the odd number deal follows through the military and civilian line, then mixed in with that is the alpha characters (which I assume will continue to grow), 416D and 416F. Not that any of this labeling amounts to anything other than fodder for discussion. The "D," "F," and "N" suffixes are export models/designations. Meanwhile, while the "A" suffixes appear to generally resemble the U.S. military's "Alteration" practice, it is, in the end, a commercial designation, and don't "need" to follow any particular convention besides whatever HK feels like, and for many militaries, the adoption of an "HK416_" would be irrelevant anyways, as it would be re-designated according to whatever convention said military requested (e.g., "G38" or "M27" versus "HK416_"). Many commercial companies have often "added" to the designation confusion by using "military-style" names/designations for commercial products, but not necessarily following any one (or any coherent) designation conventions properly. The "missing" A_ designations could be experimental models, developmental test items, "secret" variants, or just skipped altogether. Great pictures. It has a very unique look. It might have to grow on me a little. I like the classic 416, it's hard to beat! They just painted over the laser markings..